Maggie performed on Show 314 in Orono, ME, recorded on October 25, 2015. Maggie O’Connor, violin, is originally from Atlanta, Georgia, where she was raised in a family of musicians. She studied at the Peabody Institute of the Johns Hopkins University with violinist Herbert Greenberg, earning the Bachelor and the Master of Music degrees in violin performance. 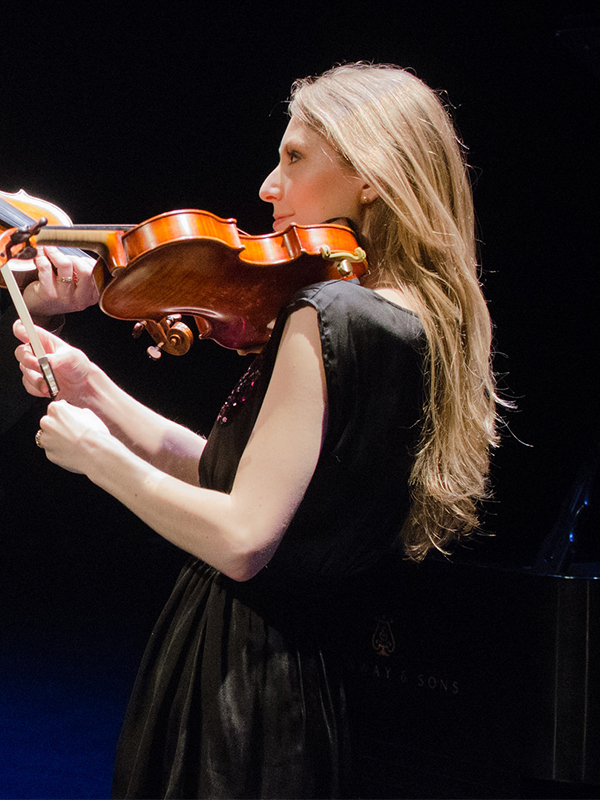 In addition to her solo appearances, she performs in concert halls throughout the U.S. and beyond, frequently with her husband Mark O’Connor. Together they have appeared as guest soloists with the Singapore Chinese Orchestra, the Santa Rosa Symphony, and many other symphony orchestras performing his composition “Strings and Threads Suite.” Maggie currently resides in New York City with her husband, and plays a 1996 violin made by Lukas Wronski with D’Addario Strings.